Although the larger part of the Dongdaemun Design Plaza won't open until 2011, the nearby Dongdaemun Culture and History Park recently opened in late October. Still hidden from the crowded Dongdaemun street, this newly completed area impresses with attention to detail. Across the street from Migliore, Hello apm, Doota, and hidden behind a still-under-construction Dongdaemun Design Plaza, there’s little indication of anything being finished. 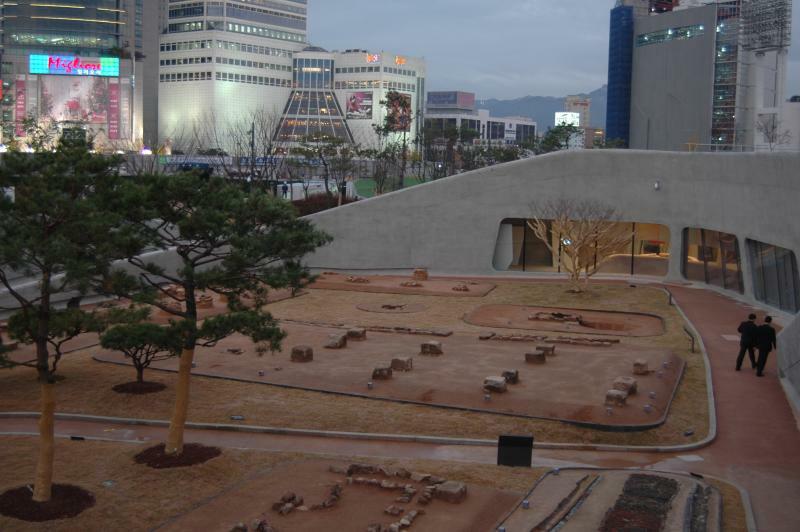 It’s here that the Dongdaemun History and Culture Park has recently been opened.